Opening a business always implies assuming a series of initial expenses in order to start the business activity. At the time of entering into a franchise must be borne in mind that the entrepreneur not only must pay the typical royalties and royalties of entry, but also must deal with other types of expenses that are linked to the opening of any business type. They are the amounts demanded by the franchisors to their new franchisees. The franchise contract usually specifies the destination of these amounts (training, advice, etc.). However, La Wash does not require this initial payment or royalties. If the entrepreneur does not have his own place to set up the business he must resort to a rent, in this case he must bear in mind that the initial outlay will include not only the month of rent but also the payment of the deposit. Finding a place in the right place and meeting the necessary requirements to set up the desired business is not always easy. In fact, in the great majority of cases it is necessary to carry out a series of reforms so that the local can host the business that will be assembled. This implies not only the own expenses of the work (masonry, plumbing, etc.) but also the payment of the corresponding municipal taxes and building permit. Despite being part of a franchise, it is necessary that the franchisee make his business take the form of a legal entity, so the relationship with the franchisor is not a boss-employee relationship but a company-company relationship. This implies a series of administrative costs. Do you want to start and have your own business at a low cost and with high profitability? 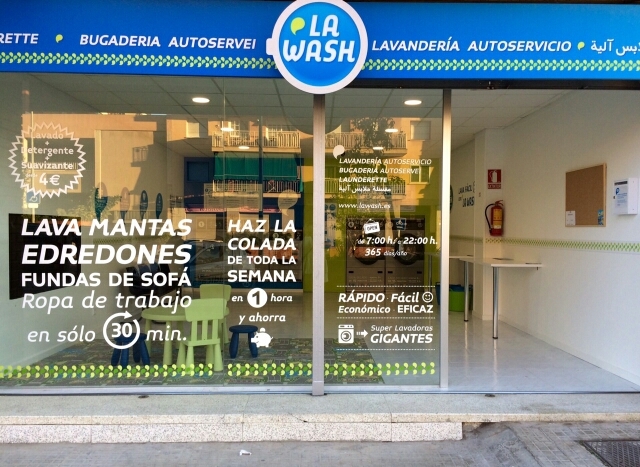 Contact us if you want to be a La Wash franchisee: How to set up my business?